The Los Angeles City Council voted Tuesday to raise the minimum wage in Los Angeles to $15 an hour by 2020, according to the New York Times. This vote could impact the larger movement for higher wages across the country because Los Angeles is the second-largest city in the U.S. It will also have strong local impacts since some estimates say more than 40 percent of Los Angeles' workforce makes less than $15 an hour. The effects here will be the biggest by far. The proposal will bring wages up in a way we haven’t seen since the 1960s. There’s a sense spreading that this is the new norm, especially in areas that have high costs of housing. The high costs of housing — or high costs of living, generally — for expensive cities are what many politicians have cited as a fundamental problem with low wages. 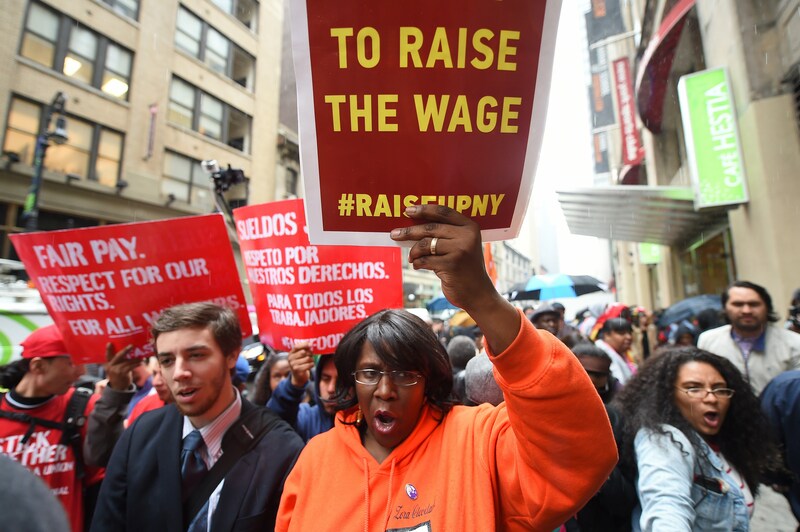 In his op-ed, Cuomo said "minimum wages have not kept pace with the rising cost of living" in New York City, and the gap between the two is making harder for the poorest citizens to get out of the lower class. That argument is at the heart of Los Angeles' increase as well. Low-wage workers "make up the backbone" of Southern California's economy, according to the Times, but they live in the suburban cities surrounding Los Angeles. Thus, proponents of increase are hoping nearby cities, including Santa Monica, West Hollywood, and Pasadena, will soon pass wage increases. They are asking businesses to foot the bill on a social experiment that they would never do on their own employees. A lot of businesses aren’t going to make it. It’s great that this is an increase for some employees, but the sad truth is that a lot of employees are going to lose their jobs. According to the Los Angeles Times, small businesses with 25 or fewer employees will be given an extra year to comply with the new wage increases over each year. Additionally, the Department of Labor's website lists a number of "mythbusters" on raising the minimum wage. First, it says that 64 studies have found that raising the minimum wage has no discernible effect on the employment of small-business workers. Further, a June 2014 survey found that more than 3 out of 5 small business owners support increasing the minimum wage to $10.10 by 2016. More than half of small-business owners surveyed by the DOL said raising the wage could increase consumer purchasing power, help the economy, lower employee turnover and increase productivity, and increase customer satisfaction.